Ok when i got my drum kit it was fine. 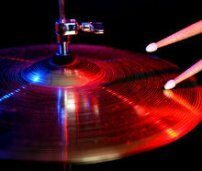 But after awhile my top cymbal on hi hat kept falling down when i was playing it pissed me off. So i took a wrench and started to tighten the twisty thing at the top so it would not get loose and fall when i was playing. It broke off and a piece of the twisty thing is stuck in there. I cant figure out what i should do. Should i try to take the rod out the top even though i don't no how. Should i figure a way to get the hi hat clutch off, if so how. Or do i just buy a hole new stand. PLEASE HELP ME. You could try unscrewing the rod from the stand by turning it counter clockwise. Then you could try working the clutch off or buying a new rod and clutch. Try to get a heavy duty clutch so that the wing nut will not break as easily, Also, best to keep pliers away from your hardware.